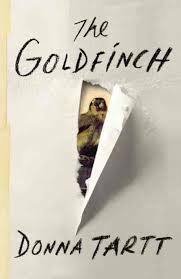 Since completing The Goldfinch by Donna Tartt the novel has won a Pulitzer Prize for fiction. Forgive me , but I had speculated that to myself prior to the announcement, after reading only a hundred pages. The plot is indeed complicated and the characters surrounding Theo Decker’s evolution into young adulthood evolve in pyramids of detail that can at times be overwhelming. However, Tartt never leaves any doubt as why each player in her cast influences life choices made by the protagonist. Park Avenue, Las Vegas, Lower East Side, Amsterdam. The societal character of these destinations is ingrained in the story. Tartt’s research and attention to subtile nuance is extraordinary. Tartt will immerse even the knowledgable New Yorker in the sounds, sights, energy and social theatrics of the city. Her descriptions remind one of a Pete Hamill character in a smoke-filled Daily News City Room banging on an Underwood under a green eye shade lamp at 1 AM , amid a torrential rainstorm roaring against window panes! Theo’s mother is killed in a bombing at the Metropolitan Museum of Art and there begins the connection with The Goldfinch a 17th Century painting by a Dutch Master that is worth millions. Of course, it was his mother’s favorite work of art and remains both symbolically and physically the centerpiece and road map of the novel. Theo’s life after his mother’s death could have been traditional Park Avenue, thanks to loving parents of a classmate. Even after Theo’s alcoholic father appears with his latest love , Xandra , and whisks him off to Las Vegas , the caring Barbour’s do not disappear. Each of Tartt’s characters stay in the mainstream until the very end, including Hobie the master of antique restoration and Theo’s only rock. Without revealing the story, this book will take you to the worlds of drugs, antiquities, New York Society , the art world underground and dozens of subtile stops including a decaying Las Vegas subdivision offering no hope to residents of foreclosed abandoned homes. The landscape of this novel is immense and the attention to intricate detail ( Peal and Co.) and antique restoration is of the calibre of a well researched treatise on the subject. Yet, it all comes together with meaning and purpose, but not without expecting much time, thought and introspection on the readers part. The use of the editors marker was sparse. From Theo, late in the journey. ” Only here’s what I really, really want someone to explain to me. What if one happens to be possessed of a heart than can’t be trusted–? What if the heart , for its own unfathomable reasons, leads one willfully and in a cloud of unspeakable radiance away from health, domesticity, civil responsibility and strong social connections and all the blandly held common virtues and instead toward a beautiful flare of ruin, self-immolation, disaster? ” Get the picture? Theo traversed all of the aforementioned territory and lived to tell the tale. Other books by Donna Tartt: The Secret History and The Little Friend. Watching and listening to today’s celebration of the Lyndon Johnson Presidency and the passage of the Civil Rights and Voting Rights Acts urges me to remind you of the great Robert Caro book The Passage of Power. Every detail of these great accomplishments are presented in Caro’s incomparable fashion. See a brief overview at gordonsgoodreads.com. This book is so extraordinary you too will have sat in a room with LBJ.